Our projects incorporate product design, interior design, layout, colour specification and implementation. Budgets and time frames vary considerably. Some projects unfold over a long period and some of the work is left to the client to facilitate and implement as they are ready, with continuous consultation if required. Some projects are domestic and others commercial. All are individual. We respect our client's privacy, so details of the projects remain confidential. However, if you have any questions, please do not hesitate to ask. If you would like to discuss your specific requirements, we would be delighted to work to your brief and budget. CLIENT | Wanted to inject colour into space to support new art piece. Initially thought new cushions would be the answer. By the end, new cushions, table runner and walls painted brought the entire scheme together, delivering a warm, sophisticated and inviting decor. 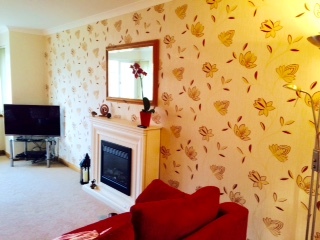 End result - warm, sophisticated and stylish. 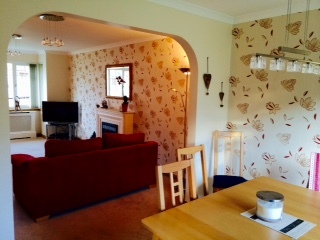 Client's were delighted with the injection of colour. CLIENT | Wanted to continue on with decor solutions implemented sometime ago and requested a new floor light and console table to dress the lounge room. Not able to find the furniture items in stores or online, client was delighted to explore the bespoke handcrafted route. 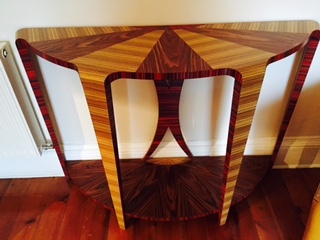 We collaborated with Storm Furniture to produce a unique and stunning console table and floor lamp, with shade, all handcrafted using three different wood veneers. 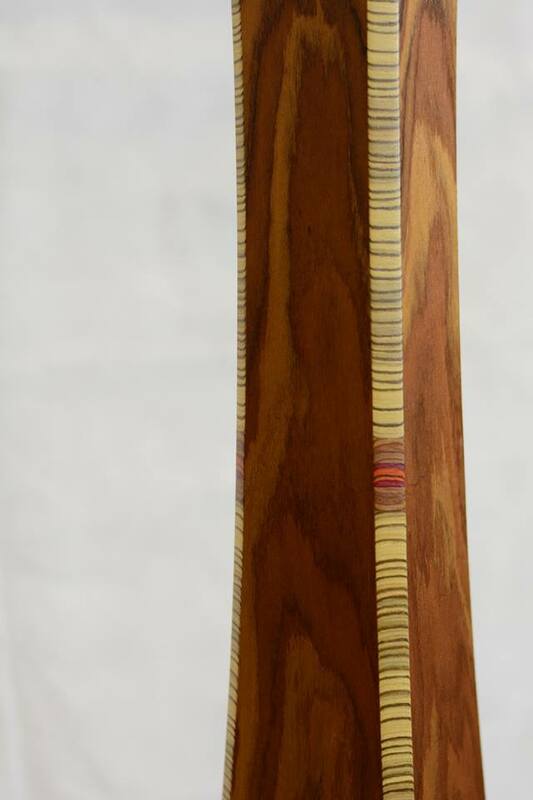 The combination of veneers produced a gorgeous colour story, tying in with the existing elements. 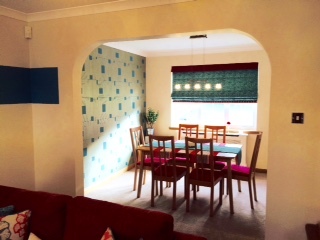 CLIENT | Wanted to update their lounge/dining area and replace the existing patterned wallpaper with a contemporary and minimalistic decor. Combining the tastes and meeting the expectations of two different individuals can often be a challenge but we successfully, kept the space clean lined and clutter free. We were able to soften the edges with fabrics, textures and pattern. 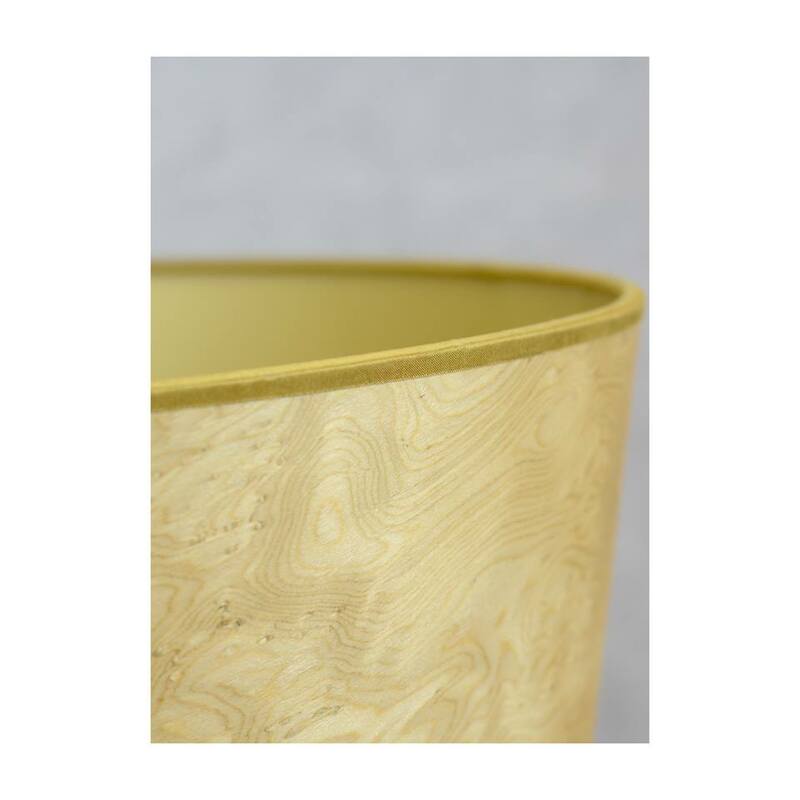 CLIENT | Wanted to replace old lamp shades on two existing floor lamp bases in their study area. Their decor was eclectic in styles, reflective of their long married life and travels. The room opened out onto a lovely garden space. They enjoy design & colour and had an eye for detail and interest. 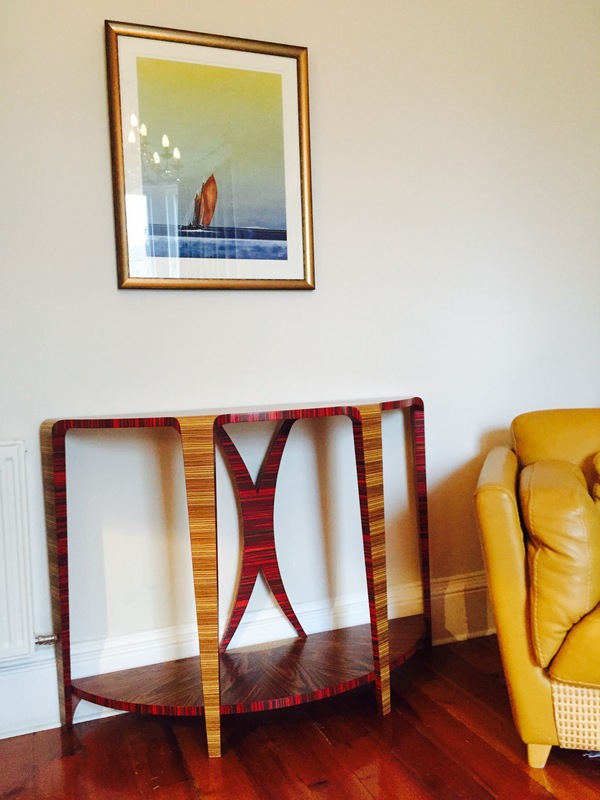 Storm Furniture made two bespoke shades at our request, using a fabulous combination of wood veneer. The room colours were of a warm undertone (lots of reds). 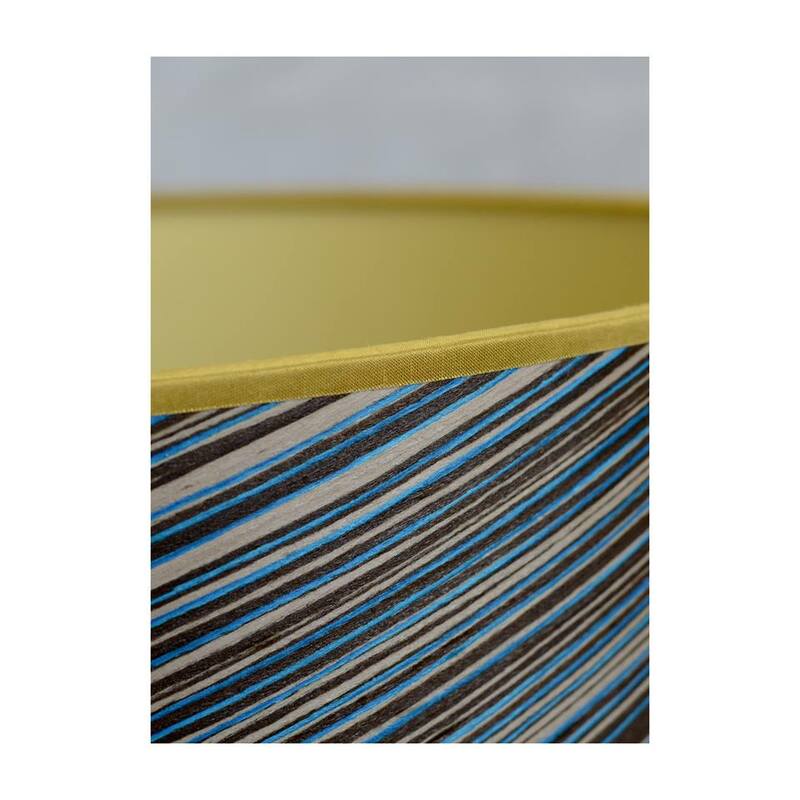 With the blue shade being a slightly cooler tone, we lined the shade with antique gold instead of silver to warm it up and tie it in. CLIENT | Wanted to redecorate their lounge in their old tenement without undertaking major works. They wanted to bring it up to date in its appearance to reflect their current stage in life (i.e. life without small children). They wanted a warm and elegant 'grown up' decor. The high ceilings supported a grander feel. We collaborated with Ecosse Bespoke Carpentry & Joinery to produce a beautiful built in corner bookshelf unit in walnut. 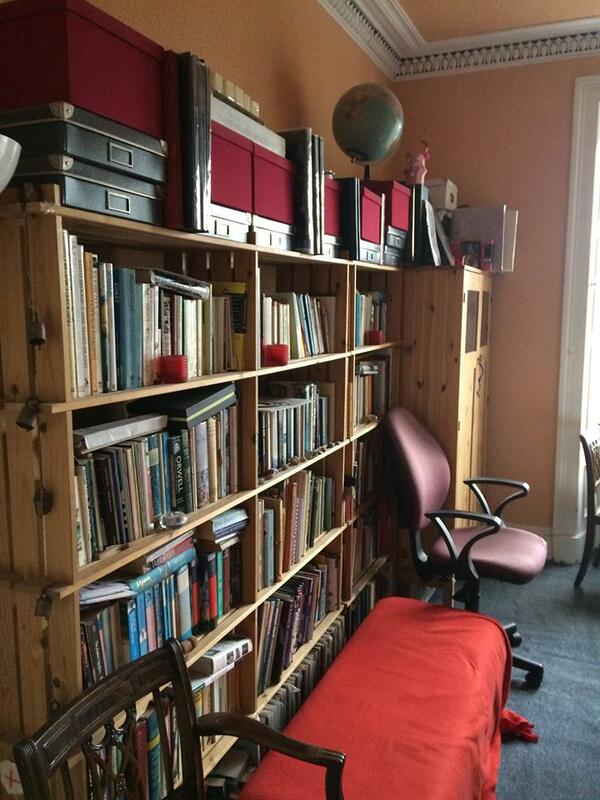 The result created more space and reduced the clutter. A matching renovation to their Edinburgh Press (also in walnut) on the opposite side of the room created balance. 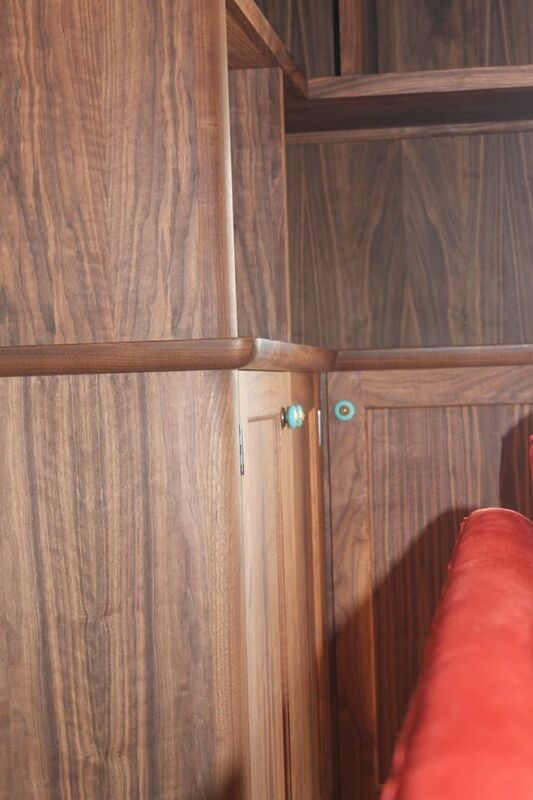 The touch of colour by way of the teal knobs tied in the teal paint work utilised on their wood (skirting and panelling underneath their window), and teal/cream floral cushions on their existing red sofas added the soft & feminine feel. 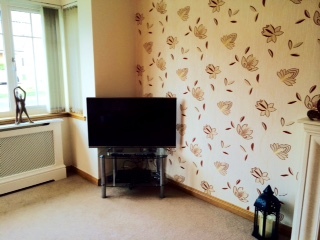 Curtains were not part of the decor as they purposely did not want to restrict their gorgeous view of Arthur's Seat. The walls were painted in Egyptian Cotton with a white ceiling & cornice to keep the room fresh & light. A bronze textured wall paper was used on the opposite corner to the bookshelf to support their antique grandfather clock. This gave balance to the room. To add light & sparkle, a beautiful antique/bronze chandelier was installed and luxurious cream carpet laid. The final touch will be artwork on the walls, a textured teal coloured rug in front of their open fire place and a large round black & bronze mirror above the black mantel. CLIENT | Wanted to bring the business branding colour into their office decor. 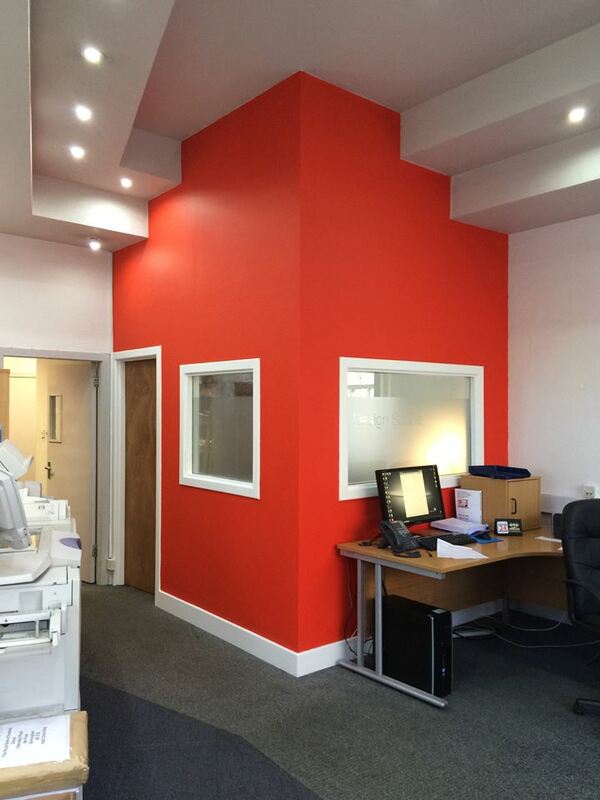 We specified the colour and provided a paint code for them to paint this internal office, bringing life and energetic vibe to their reception area. 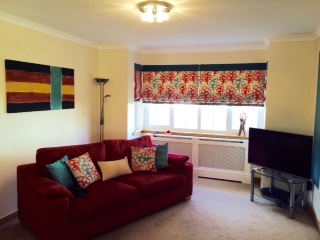 I happily undertake projects of different sizes and budgets, with the aim to provide colour & design solutions. I focus on colour, layout, lighting and the individual's requirements. I work diligently with other professionals to meet the brief outcome as efficiently and as economically as possible. When you are next considering a project, TALK to me at HARMONY for colour & design advice. I will help you develop a concept and a plan to implement.